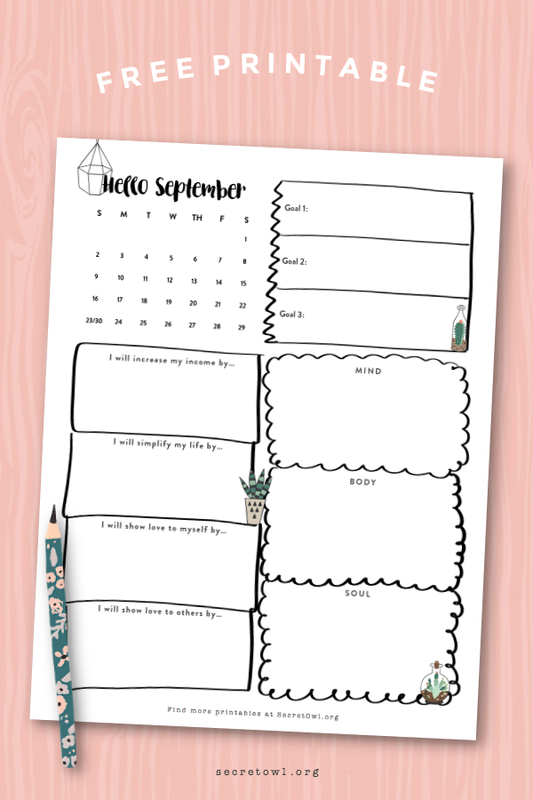 These printables are your opportunity to check in with yourself and your life. I never check off every goal I set for myself, but that little bit of extra attention helps set my subconscious in the right direction and I always take more action than I would have otherwise. Goal #1: List 2 Life Binders on Etsy and website. Outcome: I ended up listing my newest $10 Essentials edition of my Ultimate Life Binder and decided to keep my Brilliant Color edition of my Ultimate Life Binder exclusive for members of my S.O.S. Club. Lesson: It's okay to shift your goals as you go through the month and see what makes the most sense for you. Allow yourself to pivot. Outcome: SUCCESS! I reached over $7,000 in revenue for the month of August from my online business. Most of that was passive income. Lesson: Every time someone buys my Life Binder or my Passive Income with Printables course, I record the transaction in the Money section of my personal Life Binder immediately. Then I add it up to see where I'm at with my revenue in total. I constantly look at where I'm at and where I want to be by the end of the month and I identify how much money I have to make every day in order to stay on track. Instead of focusing on "I need to make $7,000 this month" all month, I'll focus on how much I need to make each day. Telling your brain "I need to make $100 a day" is a lot easier to chew on than "I need to make $7000 this month." Then I can look at my products and realize "That's easy - I just need to sell this or that each day to hit that goal." Goal #3: Hire a doula and attend baby prep classes. Outcome: Done - my husband and I hired a doula and already had one home visit and solidified our birth plan with her. We've signed up for 2 classes happening this month and attended a tour of the labor and delivery area of the hospital. Lesson: Don't just set business goals, set life goals. Keep the wheel of your life turning.